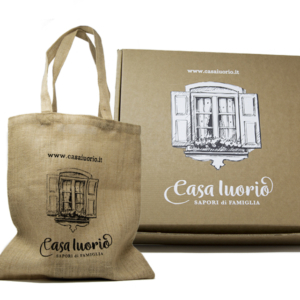 Casa Iuorio created useful and elegant gift boxes to offer aromatic and authentic delicacies. 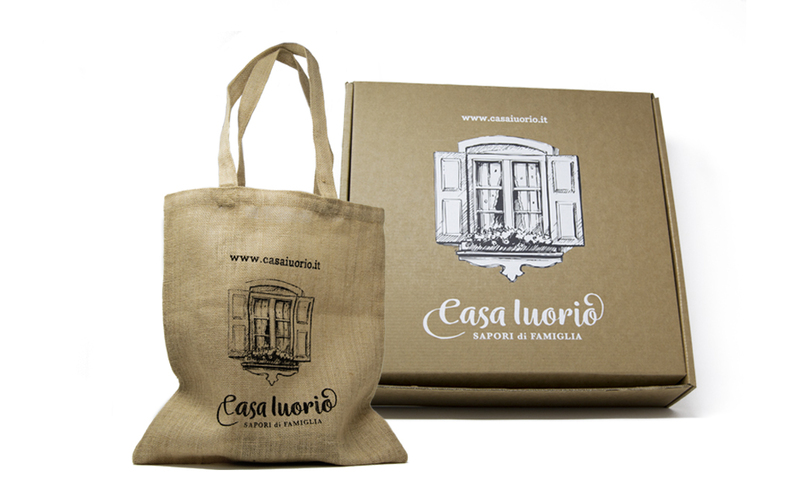 They represent the access to a fragrant and genuine pantry, an invitation to enter in our home. 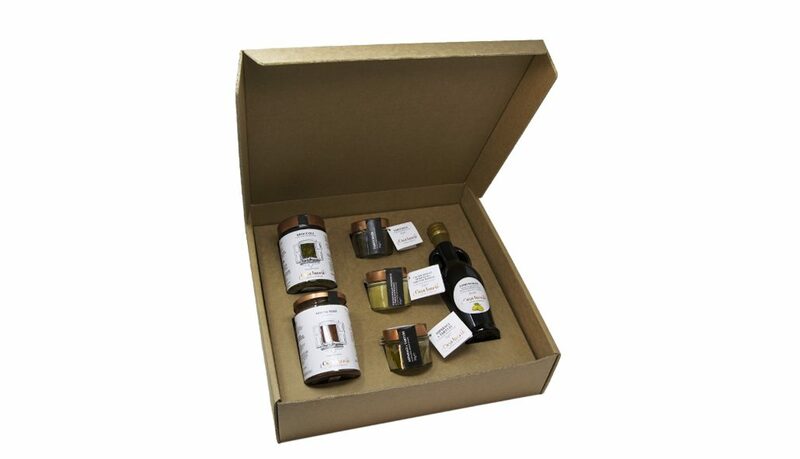 They are containers of history, passion and natural products. They contain the taste and the flavours of a great world rich in tradition and passion for our land. 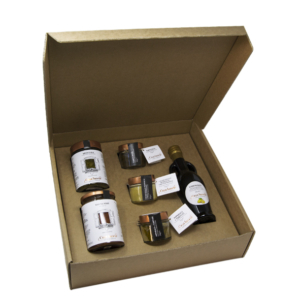 Compose your gift box choosing among the many products of Casa Iuorio‘s pantry. Alternatively find the rich compositions containing products selected by us that allow you to take a leap into the past and discover genuine raw materials. 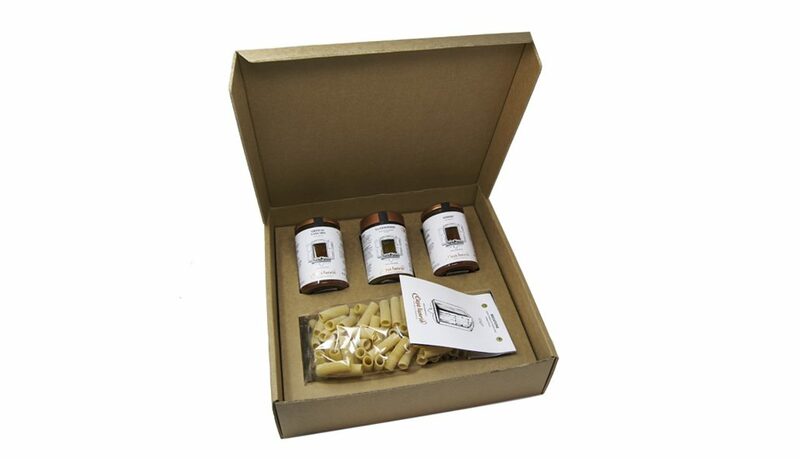 Sapori di Famiglia box is composed of: long neapolitan fusilli bronze drawing 500 g; tomatoes fillets “Pacchetella Fiaschello Battipagliese” 520 g; cream of podolico caciocavallo and white truffle 90 g; grilled onion of Montoro IGP in extra virgin olive oil 220 ml; extra virgin olive oil Colline Salernitane DOP 500 ml. 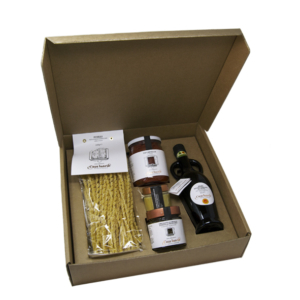 Pasta and Fantasie di Famiglia box is composed of: rigatoni bronzed rawing 500 g; ready-made tomato sauce Addor ‘ with fresh basil 370 ml; ready-made tomato sauce with vegetables Orto di Casa Mia 370 ml; Genovese ready-made sauce with coppery onion IGP of Montoro 314 ml. 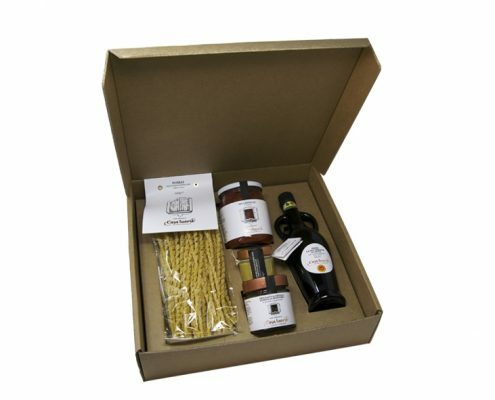 Sele Gourmet box is composed of: broccoli in extra virgin olive oil 314 ml; ready-made tomato sauce Nonna Marì with cruschi red peppers and hard ricotta cheese 370 ml; cream of podolico caciocavallo and white truffle 90 g; cream of asparagus and black truffle 90 g; truffle paté 90 g; lemonoil 250 ml. 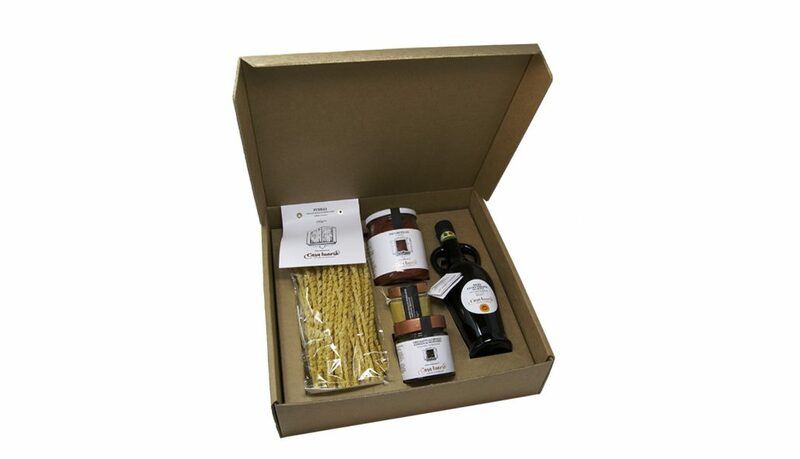 Vegan box is composed of: paccheri bronze drawing 500 g; ready-made tomato sauce Addor ‘with fresh basil 370 ml; vegetarian Genovese, ready-made sauce with coppery onion IGP of Montoro 314 ml; zucchini in extra virgin olive oil 314 ml.